Happy days for the Indian fans again as India went 4-0 up in the ODI series. Mumbai is another batting paradise – in the prematch interview on WC 2011 finals, Sangakkara remarked that a score of 350+ alone can be considered a safe one…. The outfield was good – first two overs did not produce runs, then Kieswetter broke free and the first few overs indicated that another score of 300 + was on.. but on a pitch which played slow, a score of 220 would not challenge to any opponents and Indians ran away with another victory with 6 wickets at hand and close to 10 overs to spare. After the twin setback of Cook & Kieswetter, things looked ordinary as Pietersen and Trott accumulated solidly. England’s frustration over flowed as the middle order were clueless against Ashwin and Jadeja who shared 5 wickets in 20 overs giving only 70. Varun Aaron impressed with his pace consistently bowling closer to 145 kmph corridor and ending up taking up 3 wickets in his debut. Earlier, when India successfully chased a score of 300, they wrote another record of posting a total of 300 on more occasions than any other country. The one at Mohali was the 65th occasion. Our highest is 414/7 against Lanka at Rajkot in 2009. Australia has 64; Pak has 53; SA – 45 and Sri Lanka 38. On 16 occasions, Indians have made scores of 300+ batting second and of these, have won on 11 occasions. Though Indians were 46-3 at one stage, the inform Kohli and swashbuckling Raina saw them home with a 131 run stand. England are often poor losers and Finn demonstrated that again - after bowling Suresn Raina, let out a stream of expletives ugly demonstrating his anger – when that happened Raina had got 80 and Indians were breathing close to victory.. English men often get away with such displays as do – Aussies. A similar display of emotions by say someone like Dilhara Ferdinando would have cost his 70% match fee cut and perhaps a 3 match ban. At Mohali, Bresnan displayed his frustration by snatching his cap from the Umpire. 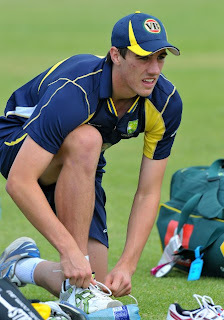 The English players are agitated – Craig Kieswetter is a big chatter behind the stumps. There were some more minor incidents as one player brushed Dhoni and quite often English bowlers swear at Indian batsmen. They have not understood even now that verbal intimidation is not going to win them any matches. In 2008 they ran away citing Mumbai terror attacks, Indians played at Edgbaston when the riots were just a stone throw away. 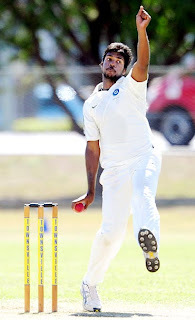 The debut of Varun Aaron and his good show should augur well for India.. perhaps he is the fastest young bowler of India and should be supported properly to be a long term prospect. 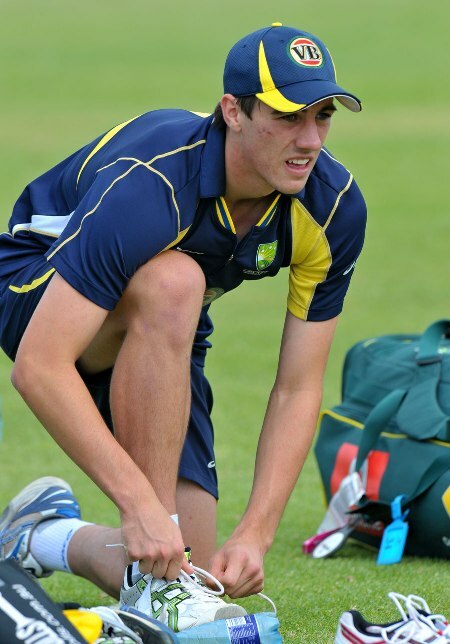 A similar debut is making waves in Australia – it is young Patrick Cummins made his debut aginst SA in the first ODI and was amongst wickets is touted to be a dangerous fast bowler. - that he went for 70+ runs for a solitary wicket in the Second One dayer, is another matter. Australians know well that a fast bowler has a short life span of genuine pace and perhaps he needs to be played raw, when young – when will Indians also follow this and treat their young rookies with wisdom ? In some ways, I feel that for protecting the medium pacers like Vinay Kumar and Praveen kumar, the pacers like Aaron or Umesh Yadav are not given the new ball.